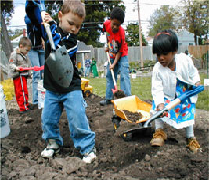 It’s a nation-wide program that helps children and their families make healthy food choices through hands-on school gardening, child nutrition and agricultural educational activities, and provides fresh foods from nearby farmers to school cafeterias and classes. 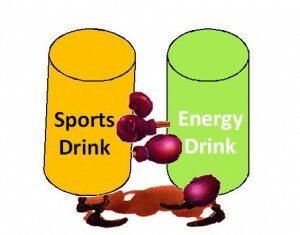 It benefits, supports and strengthens children, farmers and communities. 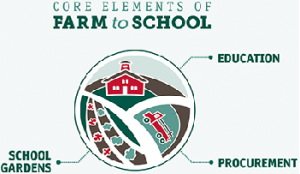 As the Farm to School Act of 2015 states, “The USDA Farm to School Grant Program increases the use of and improves access to local foods in schools – thus boosting farm income and economic opportunities – while also fostering experiential food education for our nation’s children.” For more information and to learn how to get involve, visitwww.farmtoschool.org. Are you seeing teal pumpkins in your neighborhood? 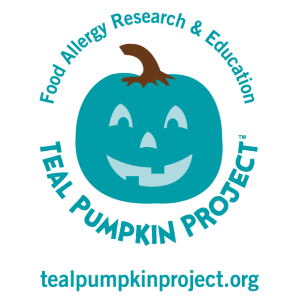 These homes are participating in FOOD ALLERGIES RESEARCH & EDUCATION’s Teal Pumpkin Project. “FARE’s Teal Pumpkin Project™ promotes safety, inclusion and respect of individuals managing food allergies. This nationwide movement offers an alternative for kids with food allergies, as well as other children for whom candy is not an option, and keeps Halloween a fun, positive experience for all!” For more information on how you can participate and items available through FARE’s site, click here to check out FARE’s website.